Does rbff73 belong in this group? Does cooldude36 belong in this group? Going down the shore to punch out Pauly D Real New Jersian and proud of it. Does uzi9mm belong in this group? Low-maintenance Woman Wanted I live in Old Tappan. I'm also disgusted with what OT's become in recent years. I'm not a yuppie and I'm not a Korean. Figure it out from there! Does trekker1701 belong in this group? Does kaine23 belong in this group? Does bigdaddy21963 belong in this group? Getting something you can't expect Raised and live in NJ, sometimes begrudgingly so. Like travel tho. Sing Sinatra and play up being from NJ. Fun. Does ovaunda belong in this group? Does captjfine belong in this group? 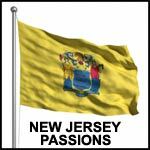 i love nj sprent most of my life in nj from bayonne tonewark to the shore dsifferent locatiobns different lifestyle nj and u perfect together ws a good saying becaudse it is with the diversity the state has to offer. Does driftwood1954dt belong in this group? Always lived in NJ With few years in PA, I have always lived in NJ. Its a small state but has it all, the beaches, mountains, hills, fields, farms, big urban settlements. I love NJ. Would love to meet someone from NJ.